These chairs are dripping in style. 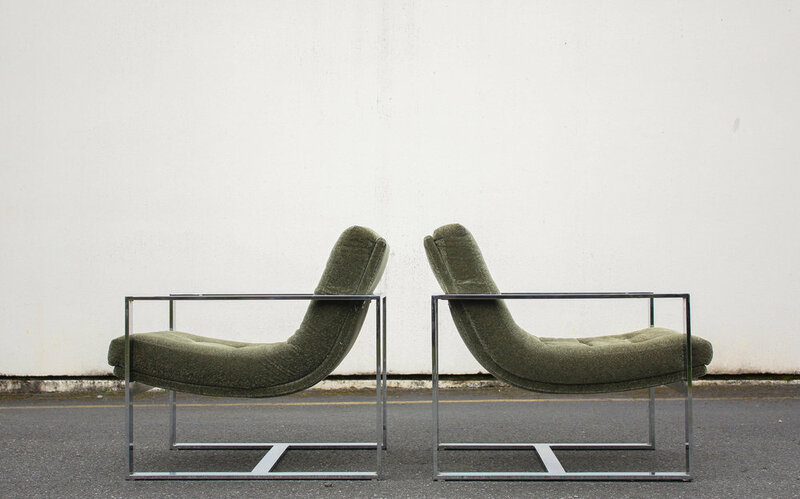 The chrome flat bar frames are a sculptural work of art, seeming to suspend the seat in mid air. The joints have been polished smooth to make a seamless transition across meeting points. 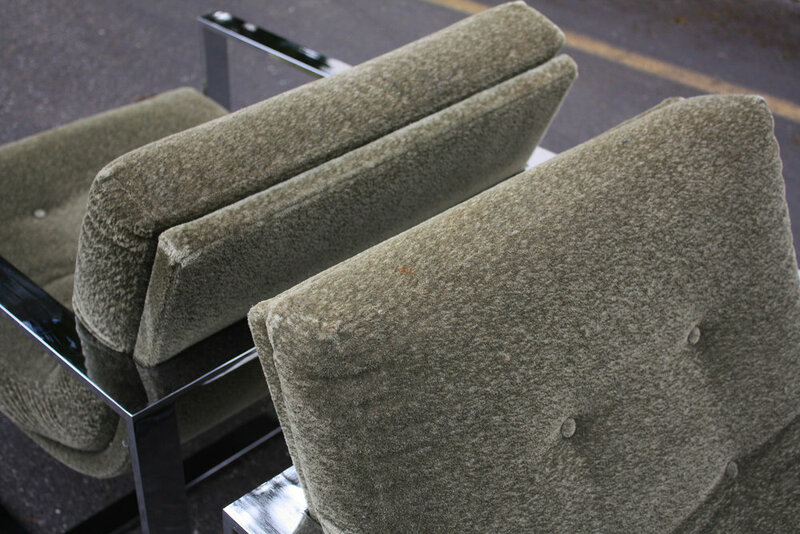 The Olive Mohair upholstery is to die for, comfortable, stylish, and high end. They are very heavy and rock solid with no structural compromises. As is the case with any truly vintage piece there will inevitably some signs of use to the frame and upholstery, but as far as chrome gets, these things shine! 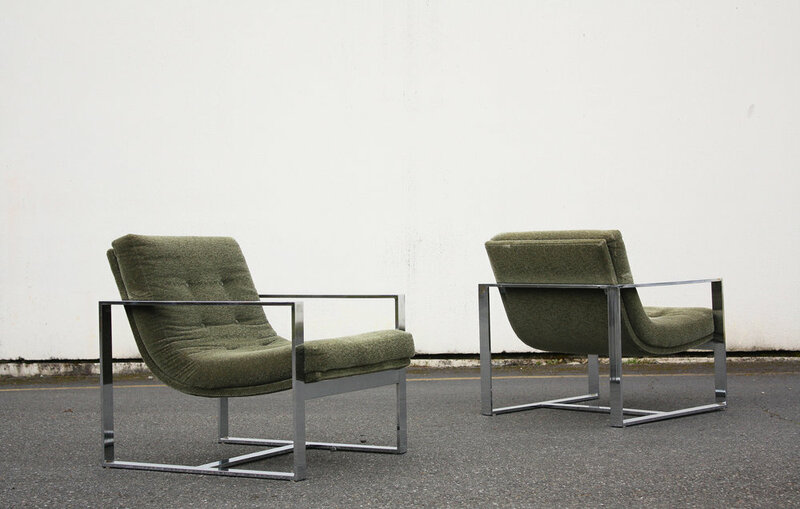 As you can see from the photos, the chairs show amazingly well. 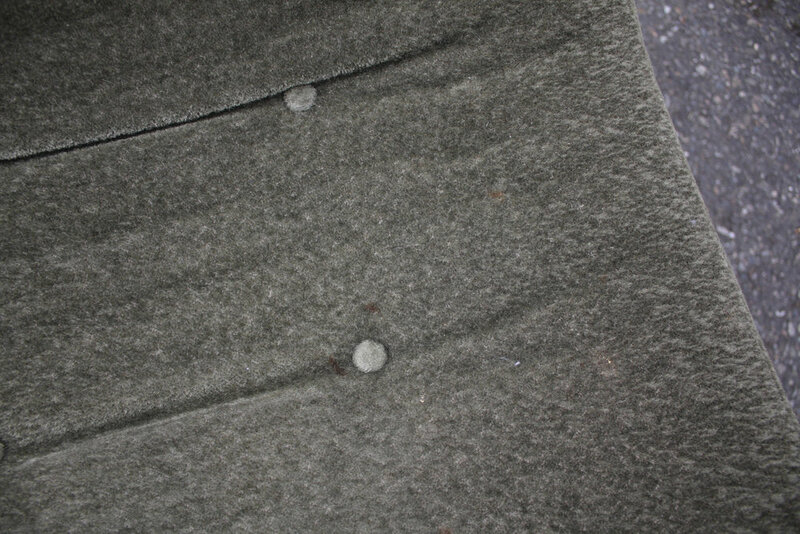 A few small spots can be seen in the photos on the fabric. We have not attempted to clean these, but some gentle scrubbing would likely minimize their appearance, if not completely remove them.